Paramecium live in quiet or stagnant ponds. They are an essential part of the food chain. 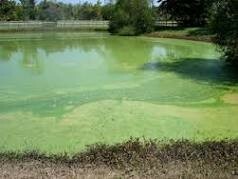 Paramecium feed on algal scum and other microorganisms, and other small organism eat then. This is how an Paramecium looks like. Paramecium are shape like long or short ovals. They are grayish, greenish blue color. 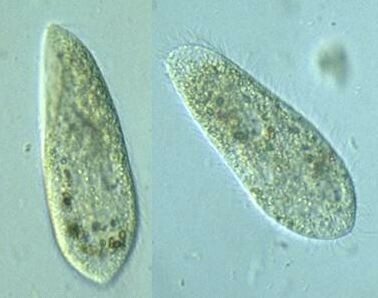 The paramecium cannot change its shape like the amoeba because it has a thicker outer layer called the pellicle. The paramecium moves by the little hairs on it. Paramecium can respond to temperature, food, oxygen and toxins and have a very simple defense mechanism.